OK, call off the hounds. The call for updates on how well my container garden is progressing this season has been deafening. So here it is. 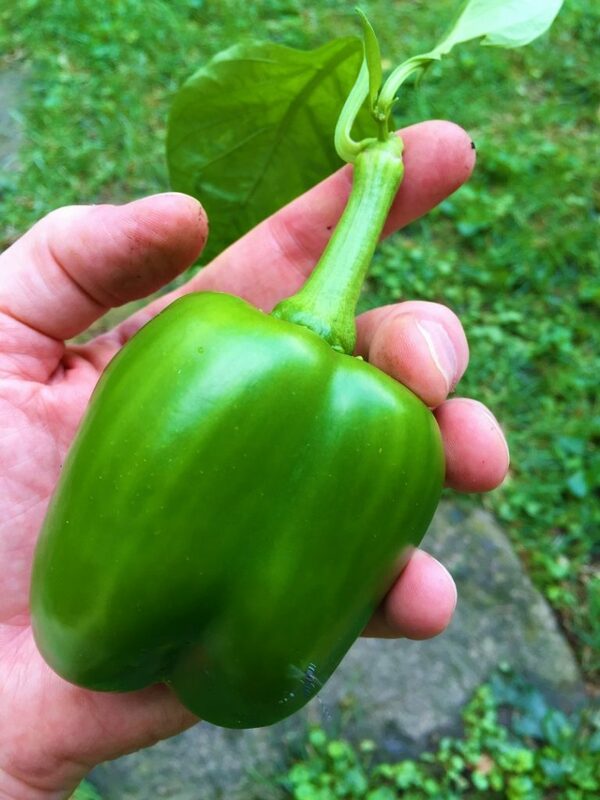 My garden has done quite well. 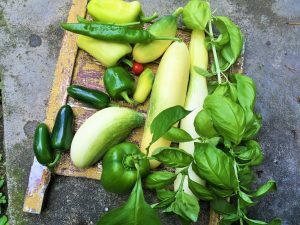 There has been a lot of growth and everything seems green and healthy – although my yield has been modest. 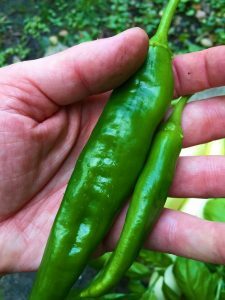 Yield of actual produce has been a challenge over the years, mostly because I only plant one or two of any one thing which leads to not much of any one thing. That said, I am quite proud of my little garden. 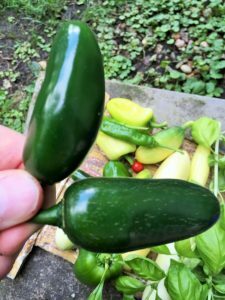 Today I picked a couple of nice cucumbers, squash, and a few different kinds of peppers – including this little guy on the right – the perfect bell pepper – grown from seed in my little garden. I also snipped some basil, which I used on a pizza I made for dinner and it was yummy.